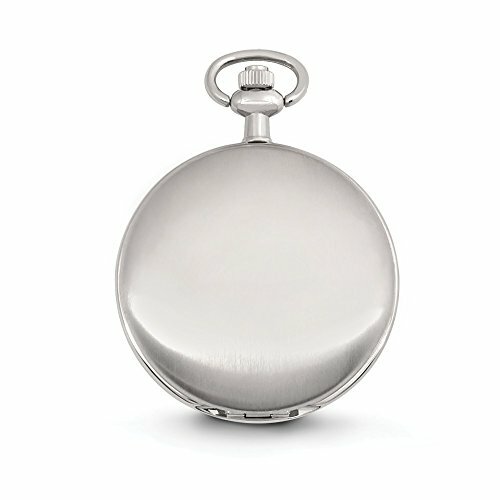 Classic silver-tone satin brushed pocket watch with a touch of modern flare. Featuring a brilliant blue sunburst dial, 3-hand quartz movement, day, date and 24hr subdials, highly polished index markers and a 14" curb chain with easy to clasp spring ring. 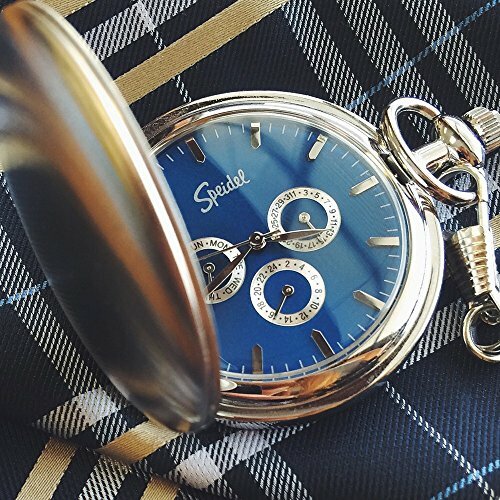 Speidel pocket watches are a great addition to anyone's timepiece collection and now with custom engraving available, they make the perfect gift. CLASSIC FEEL: This pocket watch has a blue sunburst dial that gives a great contrast to the silver-tone body. 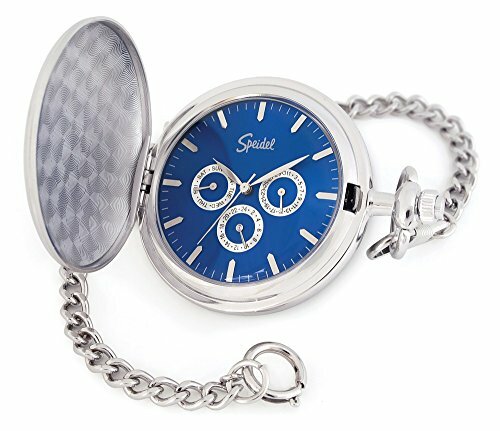 A modern take on a vintage watch, Speidel's pocket watch is sure to bring back classic styling. ENGRAVABLE: Smooth, classic design on the outer case to engrave and personalize. FEATURES: The watch face has 3-hand movement, day, date and 24 hour sub dials, highly polished index makers and a 14 inch chain. It has 3ATM water resistance, and uses quartz movement to operate. PERFECT GIFT: This item comes in a special, sleek, black gift box. Perfect for Father's day, Birthdays, Anniversary, Valentine's Day and all other holidays. 2 YEAR LIMITED WARRANTY: We know you are going to love your pocket watch but we guarantee a 100% refund if you are not satisfied with the products you received within 30 days and we provide 12 month warranty, If anything is wrong - please feel free to contact us - we will make it right.